The Army Weapons Department issued specifications for a 6 wheeled truck with a rear 4-wheel drive in 1929, to be used for scouting operations, with good endurance, range and off-road capabilities. Magirus presented the M-206, Büssing its G-31 and Daimler-Benz the G3.6. Preliminary tests on the G3 already showed that the chassis was sturdy enough to mount an armored frame above it. At the same time, in the early 1930s, Germany and the Soviet Union had an agreement allowing the Germans to develop vehicles and put in practice their armored theories in exercises at the Kazan test center, deep inside the Soviet Union and far from the western eyes. The Sd.Kfz.231 took its roots there, following the interim Reichswehr Kfz.13. This Schwere Panzerspähwagen (heavy reconnaissance armored car) was based on an experimental reinforced and adapted G3 six wheeled truck chassis. Development started in 1932-33. Initially, a 8×8 was preferred and was possibly built by the truck industry, but it was assumed by the Waffenamt to be too complicated and expensive for military production, at least at that stage. Three different engines were thoroughly tested, the Büssing 65 hp, a 4 cylinder, the Daimler-Benz M-09, a 68 hp, 6 cylinder, and the Magirus 70 hpP, 6 cylinder. These drove the four rear wheel, and steering was performed through the front wheels only, just like the original truck chassis. However, a double drive system was quickly tested, as for other armored cars models of the time, like the Austrian Steyr. It could be steered from either end, as there were two sets of steering controls, to quickly maneuver in an urban environment. However, the Sd.Kfz.231 was basically an armored body put onto a Daimler-Benz truck chassis, and would later prove not strong enough for the task, at least outside roads. At the same time, it was badly needed by German Army units as training vehicles, at least until new models could be developed, like the 8×8 version. The final production version had a completely armored sloped bodywork built on a reinforced Büssing-Nag chassis, topped by a sloped turret bearing a Rheinmetall 20 mm (0.79 in) QF gun, which fired a 5.2 oz AP shell at a muzzle velocity of 2,625 feet per second (800 m/s). The coaxial Mauser MG 13 was later replaced by a Rheinmetall MG 34. The Magirus 68 hp engine was replaced by the 70 hp Büssing-Nag, for more power. There were two large mudguards, one mounted overs the rear 4×4 wheeltrain and the other over the front steering axle. Extra pairs of unditching rollers were also mounted depending on versions, fixed at the front, and another one between the front and rear axles, which could be extended or retracted. Various storage boxes, tooling and equipment were mounted over these mudguards. There was a two-hatch access doors on the lower side slope of the main compartment, and a twin hatch on the turret rear for the commander. There were also four small and up to six big headlights and convoy lights. The armored body upper part also counted two driving compartments, rear and front, each with hinged armored sights. The turret also counted two side sights/pistol ports. In 1932, the Waffenamt ordered thirty-seven G3a Daimler-Benz chassis. Büssing also received a contract for twelve more. Mass-production really started in 1932 and lasted until 1935. 123 were built in total. The armored bodies were built by Deutsche Werke of Keil and Deutsche Edelstahl. Final assembly was performed at the Daimler-Benz assembly plant. Magirus provided engines and also built the Schwere Panzerspähwagen (Fu) Sd.Kfz.232 6 rad radio version, produced to an extent of 28 vehicles. The Daimler-Benz Type G3 prototype weighed 4.9 tons and was characterized by a large gap between the front wheels and rear 1st axles, and a single 7.92 mm (0.31 in) MG 03 machine gun in the turret. The later Daimler prototype had a 6-cylinder 70 HP and experimented with tracks fitted around the rear wheeltrain, to increase off road mobility. The Büssing-NAG G31 was the final pre-production prototype, powered by the Magirus type M206, a 6 cylinder engine. The final schwere Panzerspähwagen (6-Rad) Sd.Kfz.231 had a 20 mm (0.79 in) gun and a machine gun. This was the main radio version, fitted with a 100 watt long range radio and bed frame aerial. The turret could still move beneath the frame. Radio command vehicle, fitted with a bed frame aerial and a single MG 13, making room for extra radio equipment served by a new radio operator. The Sd.Kfz.231 (6 rad) was issued to Aufklärung (recce) detachments, as their heaviest component and the backbone of their firepower from 1932. They participated in numerous exercises, were mobilized during the Anschluss, and then used during the occupation of Czechoslovakia. 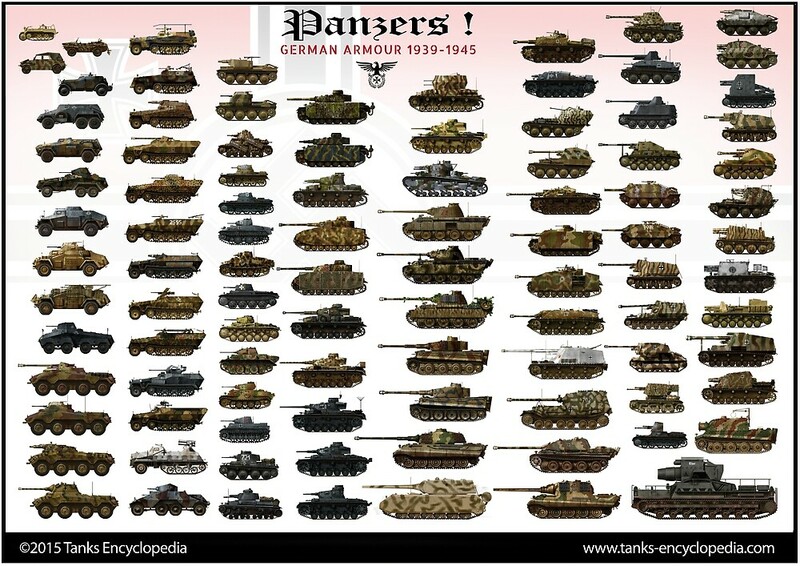 At the start of WW2, these were unleashed in Poland and France, were their poor performance was quickly shown. So they were withdrawn and kept for training and internal security for the remainder of the war. The radio Sd.Kfz.232 Fu was issued to Aufklärungs (recce) detachments and the command Sd.Kfz.263 (Fu) was issued to Nachrichten (signals) units. Although this model was largely shown through propaganda, it proved far too heavy for its engine, chassis and suspensions, and had mediocre off-road capabilities. The new Sd.Kfz.231 8-rad began to replace them throughout 1939 and 1940. Sd.Kfz.231 6-rad from the third PanzerDivision, Neuropinn, May 1936. Click to see an earlier model from the VIth Armeekorps. Unidentified Sd.Kfz.231 6 rad during the Anschluss, 1938. Sd.Kfz.232 (fu) radio version in Poland, September 1939. What is the ‘MEGA MENU: For PC users only!’ suppose to be??? If I click it just obstructs my view, I’m using a PC. It’s only supposed to work on some screen configurations since it’s not responsive at all. It’s only there for some people complaining not to have the old mega menu back. If you are in 1600×900 pixels screen configuration or beyond it should be fine since the menu height is fixed.